Building wealth is a marathon financial event. Here's how to reach your goals sooner rather than later. You probably dream about the day you can let the stress of work go and be fully retired. Building wealth is a marathon financial event, and there are plenty of tempting distractions and necessities along the way. Here are some behaviors and actions that will help you reach financial independence sooner. 1. Start investing early. Time is your greatest advantage when it comes to building wealth for the future. When you are young and have 30 to 40 years before retirement, even a small amount of savings has the time to grow and multiply with the power of compounding interest. The younger you are when you start investing your money in a retirement savings account, the more time it has to work on your behalf. Maximize the power of compounding interest by beginning to save in your 20s. Let your money work for you so that you can get away from relying on income that you generate with your hands, back and brain. 2. Set specific financial goals. Setting goals can help motivate you to achieve them. Take the time to intentionally set goals for your finances. You don’t want to live in reaction to your financial situation; you should be in control of it. 3. Live below your means. Excessive debt has no place in a financially successful life. It’s better to be debt-free or well on your way to paying down your debts as quickly as possible. Living below your means often requires short-term sacrifices in order to reap long-term financial rewards. That means you don’t carry credit card balances, aren’t paying a car loan and you don’t finance a new flat screen television, just to cite a few examples. 4. Defer gratification. The combination of setting financial goals and paying yourself first is a powerful discipline to master. This also means you defer gratification until you can afford the items you want with cash. You are willing to postpone a purchase until you have saved up enough money to cover its cost, in full, once the bill comes in. 5. Focus on your strengths. Your earning potential is linked to your ability to develop your strengths. No one can be an expert in everything. Some experts think it takes five years or 10,000 hours to master something. Invest in yourself and continue to learn, but also recognize when it makes sense to seek the guidance of a professional. 6. Find opportunity where others see challenges. Learn to see opportunity in the face of difficulties and challenges. For example, the darkest of times for financial markets may have the silver lining of providing the best opportunity to invest. Buying in when the market is low gives you an opportunity to sell much higher. Secure your finances in a way that leaves you available to observe and seize financial advantages when they present themselves. 7. Don’t make emotional decisions. When it comes to long-term investing, it’s never a good idea to make a financial decision based on fear or other emotions that cloud your ability to remain objective. Your financial plan should be logically determined, and then you need to be disciplined enough to stay the course. 8. Patience. Patience is key when it comes to long-term financial success. Don’t fall for “get rich quick” schemes. Give yourself time to evaluate each situation that arises with a clear perspective on how it impacts your life and finances, and carefully determine what should be done (if anything) to counteract any negative implications. 9. Prepare for the unthinkable. You need to take steps to protect the financial success you’re working so hard to achieve. Even though it’s an uncomfortable reality, you need to address all the major estate planning categories: health insurance, life insurance, disability insurance, car insurance, a living will/last will and testament and a healthcare proxy. You also should set up an emergency reserve of cash to cover three to six months of your living expenses just in case. 10. Generosity. Many people make a point to give money away to a church and other causes they care about. When you are intentional about where your money goes, you often find that you need less money than perhaps you thought and have extra to share that can have an impact in the lives of others. While there are tax benefits associated with generosity, the bigger reward is seeing your money help others. These choices to live differently will be rewarded handsomely. 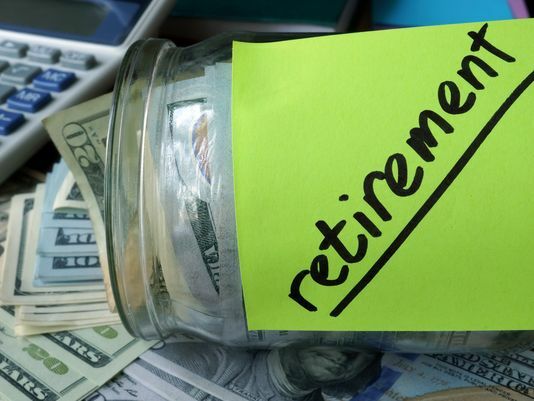 It may start small with the desire to use this year to open a Roth IRA, fund your employer’s retirement plan to get the maximum match or trim your budget and live below your means. It all starts with a small sacrifice and a new habit, and then your assets begin to build upon themselves. Brian Preston and Bo Hanson are fee-only financial planners who host the podcast, “The Money-Guy Show“. How Long Does it Take to Vest in a 401(k) Plan?